A true beauty in the cactus world, the desert rose, or Adenium obesum, is both beautiful and resilient. 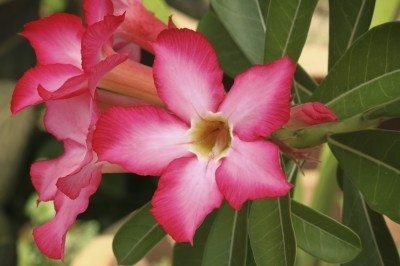 Because they are so lovely, many people wonder, “How do I grow a desert rose from cuttings,” or “Is starting adenium seeds difficult?” Growing a desert rose from seed or from cuttings is not hard at all. It simply requires a little knowledge. 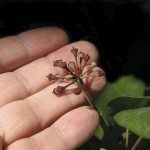 Let’s look at desert rose seed propagation and cutting propagation. The real trick to desert rose plant seed starting is to make sure that you start out with fresh seeds. Fresh desert rose plant seed will have a higher germination rate as well as germinating faster. 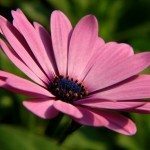 Purchase your seeds from a reputable dealer or find an owner of a few adult plants (they need to plants to produce seeds) that can give your seeds straight from the plants themselves. Begin starting adenium seeds by preparing a container with a well-draining growing medium, like a perlite or sand and soil mix. Place the seed in the growing medium, just covering them with the growing medium. Water from below daily and from above once every three days until the seedlings appear. Place the growing tray or container on a heating pad and keep the temperature of the growing medium at between 80 and 85 F. (27039 C.). Your desert rose plant seeds should germinate in one week, if the seeds are fresh. If they are not fresh, it may take longer (if at all). Once the seedlings appear, water only from below. In about a month, the seedlings will be large enough to transplant to a permanent container. If you are starting adenium seeds, you can expect that the seedlings to bloom in the same year, which is nice as the flowers are what makes them so lovely. While desert rose seed propagation is relatively easy, most gardeners have better success with growing a desert rose from cuttings. 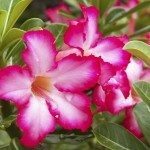 You may be wondering,“How do I grow a desert rose from cuttings?” Not only do they start from cuttings easily and quickly, you will be able to keep the true nature of hybrid plants, as hybrid will revert if grown from seed. Take a cutting from the tip of a branch. Allow the cutting to dry out for a day or two, then wet the end of the desert rose cutting and dip it in rooting hormone. Stick the cutting into a well draining growing medium like perlite or sand mixed with soil. Water the cutting daily, making sure the water is able to drain out of the soil. 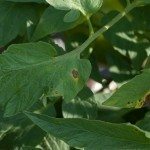 Use a spray bottle and mist the cutting daily as well. The cutting should take root in about two to six weeks. Growing a desert rose from seeds or cuttings can be done. With a little patience, you can have your own desert rose plant for your home. Read more articles about Desert Rose.